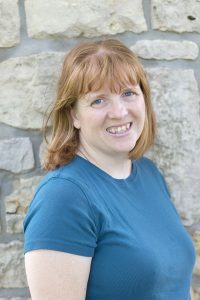 This is a guest post from Jamie Jeffers, author of Medium Sized Family. I grabbed a pen and notepad and headed for the couch. Hubby was waiting there, and we were going to discuss our goals for the new year. I’m the nerd of the family, so I was looking forward to this meeting with a little more excitement than he was. We do love to dream together. We’ve been together since we started dating 20 years ago, and we’ve always had ideas of what we’d like to do as a family. One wedding and five kids later, there’s still a lot we want to accomplish. So we started to talk about our goals. The pressing house projects to finish that year. The fun things we’d like to do. Things we wanted the kids to learn about. Then, like it always does, the conversation turned to our debt. The credit card balances were always there. The unwelcome guest in our home that had started to stink long ago. Slowly, a new realization sank in. We couldn’t accomplish any of the goals we had our heart set on while we were lugging that debt around like a prison ball. For the first time in years, I was ready to face that debt head on. Knowing that it was standing between us and our dreams was just what I needed to get mad enough to leap into action. After that, the atmosphere around our meeting shifted. We made a new list of things we’d need to do to make getting out of debt our top priority. That meant putting a big X through most of the things we’d already written down for the year. We decided that if we couldn’t find a good, solid reason to spend money, then we weren’t going to spend anything. Hubby jokingly wrote at the top of our page #yearofno. We didn’t know it at the time, but that hashtag was going to change everything. You might suspect that we went on a spending freeze for the year, but the #yearofno is far more practical than that. 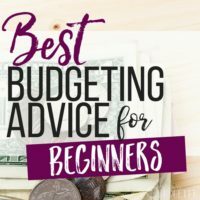 A spending freeze is a fantastic tool, but it’s not something most of us can sustain for years at a time. It makes us consider whether this opportunity is worth it for our 13 year old. Or will he have other chances to do something similar when we can pay for it debt free? And #yearofno completely destroyed our once bulging fast food and pizza delivery budget. (With our apologies to the local economy.) While I love grabbing a Dr. Pepper on the go, I love the idea of a peaceful debt free life so much more. Well I won’t tell you they loved it. Some of them came to hate the #yearofno motto. But they did learn to deal with it. As often as possible (and in an age appropriate way) I remind the kids that we have to make smart money decisions. And when we make poor choices about the way we spend, we have to pay the consequences. I’d rather they learn from my bad mistakes than go on to make bad mistakes of their own. I made a commitment to not buy fast food or pizza until we were out of debt. 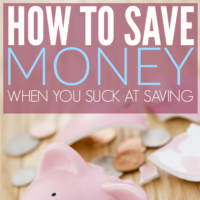 (Ideally, this habit will be ingrained and we won’t go back to it even when we are debt free.) It’s astonishing how much money leaks into those areas of life. Later we amended the rule a bit. Now, if you’ve been in an emergency room during meal hours, you’re allowed to grab some fast food on the long trip home. We have four boys…need I say more? Fast food is so convenient! But do you know what I learned? A cooler full of drinks and a box of granola bars is also convenient. And it makes my wallet so much happier. The kids are always bringing home requests to buy something from school. Field trips, book orders, yearbooks, fundraisers, on and on and on. We parents tend to assume that we have to buy these things. But is that always true? My kids are avid readers, and we have a ton of books. We also have access to a wonderful public library. Book orders and book fairs seem unnecessary right now. Yearbooks make us feel nostalgic. Even when the kids say they don’t want one, I tend to buy it anyway, figuring they’ll wish they had it one day. Then my Hubby asked, “When was the last time you pulled out your fourth grade yearbook?” Truthfully, I can’t even say for certain where that book is! If one of our kids doesn’t have their heart set on owning a yearbook for every single year, why buy it? I love the hunt for bargains after a holiday. You can get some adorable decor or cheap chocolate (hello!) in the 90% off bin. But do you know what’s not a necessity when you’re digging out of debt? Decor and candy. I try to avoid even looking and tempting myself right now. Every dollar counts! I suppose what the #yearofno motto truly did was to give us a whole new mindset when it comes to spending. It gave us a reason to change “it’s only a dollar” and “but we deserve this” thinking into something new. What we really deserve is a life free from worry about the balance on our credit cards. Our #yearofno was a great success! We aren’t debt free yet, but we managed to pay off 78% of our largest credit card in one year. And we are on pace to be completely out of debt in one more year. I can’t tell you how much I’m looking forward to the yearly meeting when we can set fun goals…debt free! If you’re working to get out of debt, I encourage you to adopt a motto to help you stay on track when the going gets tough. You can do it! Jamie dreams of donuts appearing at the desk where she writes her blog, Medium Sized Family. You’ll often find her juggling her 5 kids’ activities while chugging coffee. Check out her Secure Your Savings and Find Peace in the New Year series with 30 ideas for building your emergency fund. I am so there! I started cutting back here and there a couple years ago but never really got strict with myself. This year, I made some huge changes. I have started meal planning and really thinking about where my money goes. It’s really shocking to take a hard look at your finances and see how much money you waste even when you think you’re being good. #yearofno- I love it! Thank you! It is definitely a shock to see the changes you can make if you just tweak a few things (like your attitude). It feels good to be on a better path now. The beginning of your story sounds so much like mine! 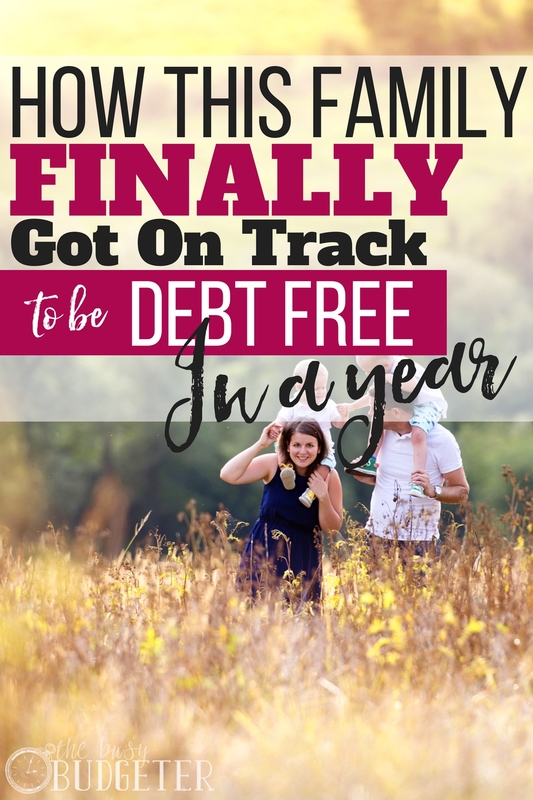 I love grabbing pen and paper and setting goals with my hubby–especially when it comes to paying off debt. We are also trying to pay off our debt this year. We have made some good progress, and I know that this can be the year we finally do it. 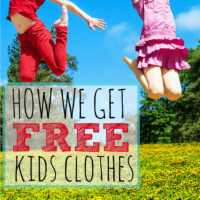 Great practical tips, especially the skipping fast food part! 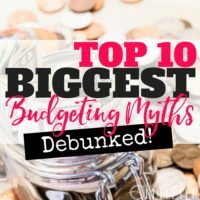 Dining out is such a huge budget buster! I am totally with you on not buying things from school! We don’t purchase anything from the fundraisers or any of the other of the multitude of papers and requests that are sent home. It definitely saves money! I have learned from experience that the “little things” really do add up. We do our best not to buy convenience items & rarely eat out. Recently, while on vacation, my husband and I went on a date. We had dinner at a fairly inexpensive restaurant (no apps, alcohol, or dessert), and went to the movies where we shared a drink and popcorn. The total for the night was close to $100! Oh wow, that’s crazy! It’s amazing how quickly things add up. Great post! It’d also be great to see some specific numbers as well (i.e. how much your family saved by not eating out or ordering pizza). Great job overall!